The MTHFR gene provides the code for the MTHFR enzyme to metabolise folate. It takes folate from food and converts it into its active form, 5-methyltetrahydrofolate (5-MTHF). This methyl form of folate is used in the body in a process called methylation. Methylation is a biochemical process, whereby a methyl group, consisting of 1 carbon and 3 hydrogen atoms is transferred onto a substrate including DNA, RNA, neurotransmitters, hormones, immune cells and nerve cells. Once these compounds are methylated, they are able to commence their required functioning. Detoxification of hormones – issues can lead to hormonal imbalances (heavy periods, painful periods, PMS Mood swings, PCOS). Detoxification of harmful toxins, chemicals and heavy metals. Turns on and off the stress response – very important for mental health. Balances the immune system – underactive immune function reduces your ability to fight disease. An overactive immune function can lead to autoimmune conditions. Balances neurotransmitters (serotonin, dopamine and adrenalin) – very important for mental health. Builds and repairs DNA – very important for pregnancy. Produces important nutrients for energy including creatine and carnitine. Produces phosphatidylcholine which is a key component of cell membranes, the mitochondria (where energy is made) and the myelin sheath (protective coating around nerves). Reduces histamine. 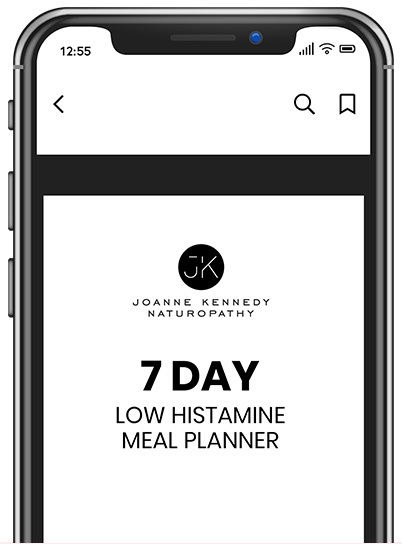 This is very important as when histamine builds up it causes many issues including anxiety, insomnia, dizziness, migraines, eczema, hives, coughing, wheezing, tight chest and even period pain. Stress – stress depletes the body of methyl groups so that you don’t have enough for other processes such as detoxification and histamine break down. Heavy alcohol consumption – alcohol depletes B vitamins, which are essential for the proper functioning of the methylation pathways. Folic acid – folic acid is a synthetic form of folate that blocks the uptake of natural folate from food. Environmental toxins – these place a heavy burden on the methylation pathways in the liver as well as deplete glutathione (the body’s major antioxidant). Bacterial, viral, fungal, parasitic infections – infections cause inflammation, which will deplete the body of glutathione. In turn, homocysteine is lowered, resulting in inadequate amounts of homocysteine needed for methylation. Inadequate Vitamin B12 intake – Vitamin B12, which is only found in adequate amounts in animal protein, is essential for the proper functioning of the methylation pathways. Vegans and vegetarians are very susceptible to having low vitamin B12. Low Vitamin B6 and Zinc – deficiency in B6 and zinc is seen in people with pyrroluria and / or an overload of oxalate in the body. Oxalate is very high in nuts and seeds, so those on a paleo diet may be eating too many oxalates. Poor gut health – this will lead to malabsorption of the essential nutrients required for methylation.